Wet Mix: Combine 1 heaped teaspoon of formula and 8 teaspoons of warm water and mix for 1-2 mins into a runny paste (1/8 ratio). Repeat feeding twice a day (one feed in the morning, one feed in the evening). As feeding amounts will vary based on the bird species, make sure you investigate the differing amounts to be fed based on the breed and size of your pet bird. Please ensure cool, fresh water is freely available at all times. 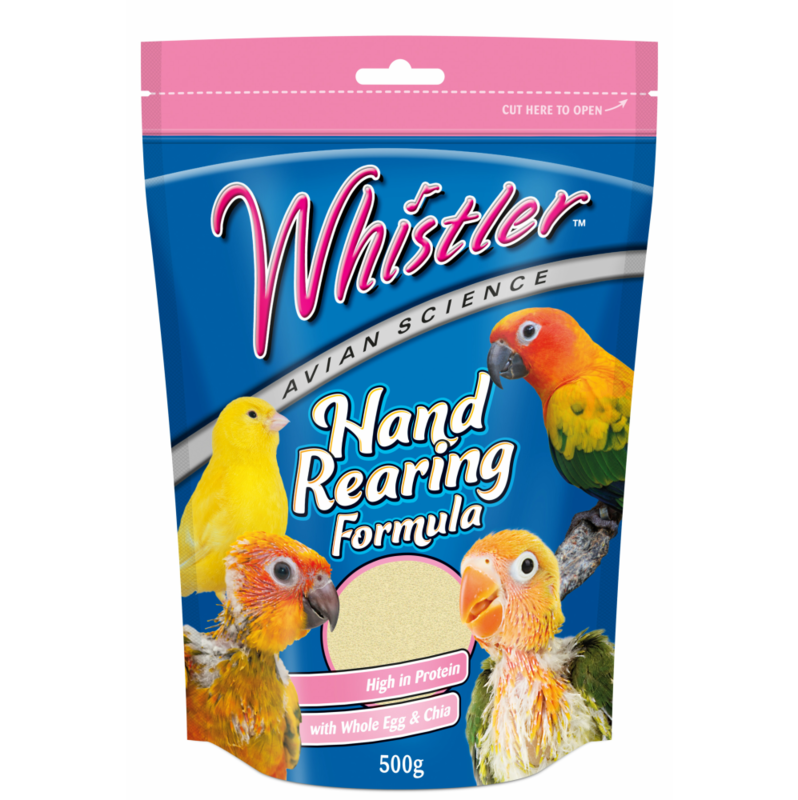 Whistler Hand Rearing Formula is a nutritious and complete food specially formulated for all pet and aviary birds from 1 week old through to weaning. Made with the goodness of wholesome cereals including rice, wheat, corn and soybean, plus the natural goodness of Chia seeds. Whistler Hand Rearing Formula is a delicious, healthy introductory diet your pet baby bird will love.